Overcast skies and a few patches of light misting rain were not enough to dampen the spirits of the 23 teams that took to the pistes for the final round of the 2016/17 season. 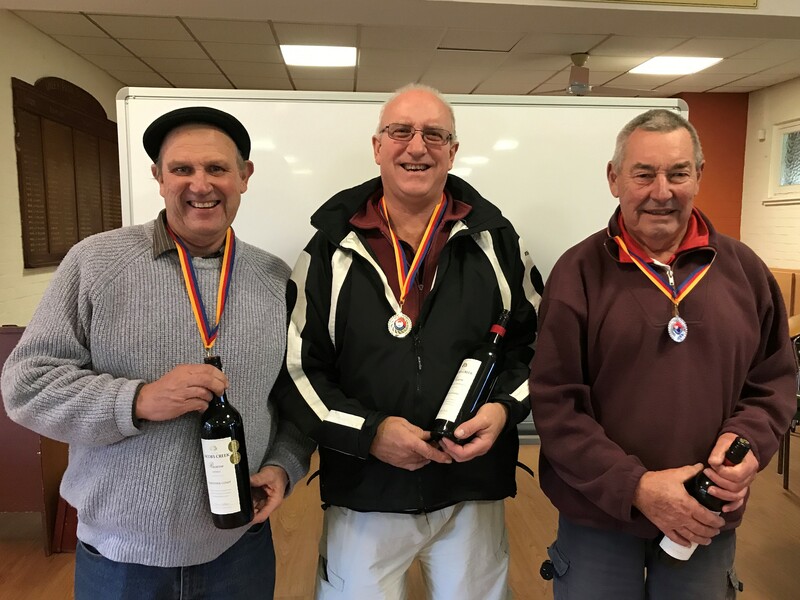 The large turnout was reminiscent of days gone by, when numbers like this were the norm, and it was due in large part to the arrival of the state’s newest petanque club — Novar Gardens. The ‘Supernovars’ came out in force, providing a welcome injection of life into the competition, and their enthusiasm was infectious. Finishing with two teams in point-scoring positions on their first outing, despite very limited experience in the game, suggests they may become a force to be reckoned with before too long. Their inclusion is most welcome and the rest of us look forward to playing a league round at a new venue, later in the upcoming season. 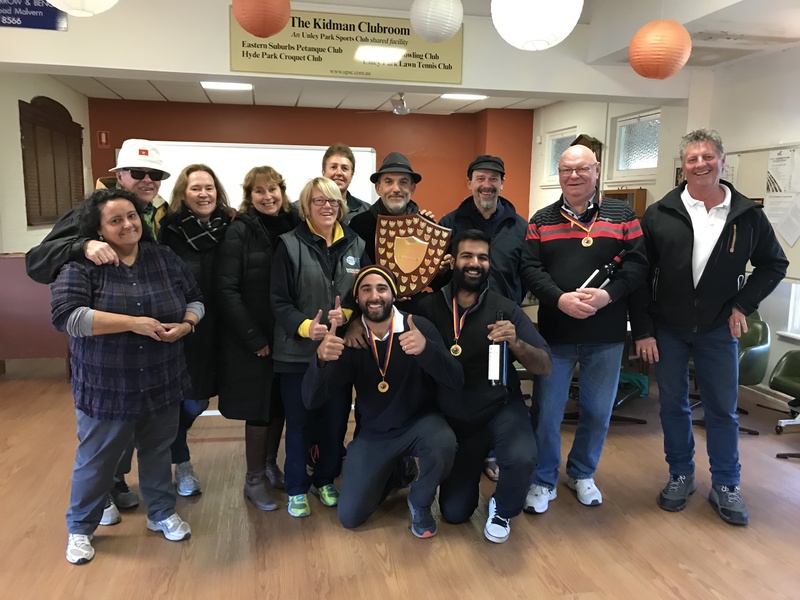 As for this year’s championship, a resounding victory to Eastern Suburbs came as no surprise, as they had built up a lead that was virtually unbeatable by the end. Nevertheless, they had good reason to celebrate breaking a five year drought and ending a long period of dominance by Club d’Adelaide, who finished second. To ice the cake, the ESP team of Sukrit, Raja and Garry took home the gold medals on the day. A competition where the top three positions remain the same throughout the entire season may seem a little dull, but, in contrast, the battle for fourth was hotly contested and full of twists and turns. After Round 4 it was a four-way tie. Round 5 saw late entrants Adelaide Hills open up a slight lead but, coming into the final round, all five candidates (including new chums, Novar Gardens) were still within potential striking distance. With plenty to play for, it was pleasing to see all the clubs represented. 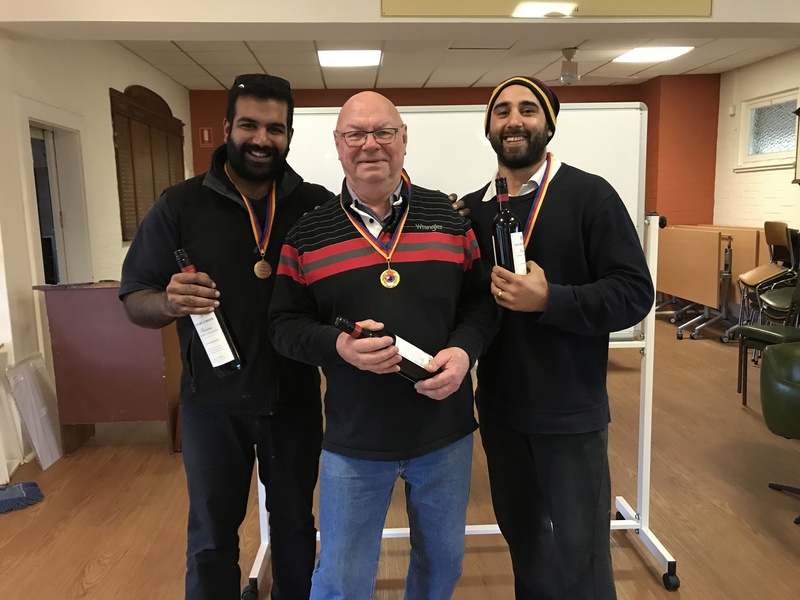 In the end, it came down to the last games of the day, with a victory to the Port Noarlunga team securing twelve crucial points and the ‘minor premiership’. A fine effort from our smallest club. Thanks to ESP for hosting this event and to all who have contributed throughout the season. With new entrants and a few player realignments, next season promises to be more competitive than ever. Posted in Club Competitions, Competition, Results.